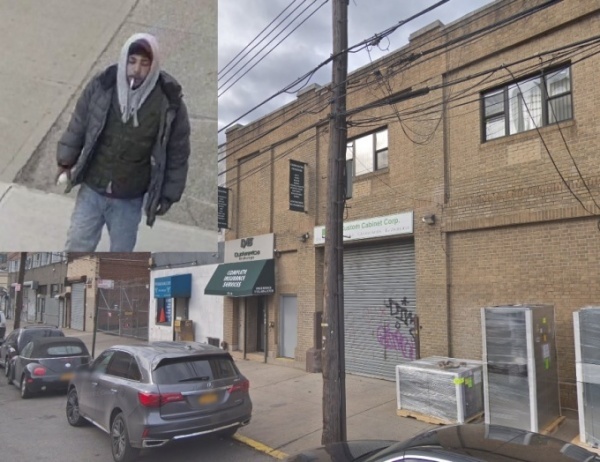 The police have released a photo of a man who allegedly spat on a Muslim woman on a Dutch Kills street last week. The suspect allegedly walked past the woman–who was wearing a hijab–at around 1:30 p.m. on Jan. 29 and spat on her in front of 37-14 30th St. The police said that the incident is being investigated by its Hate Crimes Task Force. The police are offering a $2,500 reward for information on the case. The suspect was last seen wearing a gray hoodie, dark gray jacket, blue jeans and black sneakers. So just because she’s Muslim it’s automatically a hate crime? And the police are on it in two seconds. Anything to stir up the population. Not for nothing though, but what kind of a person would even report something like that to the police? Give me a break. You brush it off as a crazy person and go on your way. Anything for attention, everyone’s a crybaby. Meanwhile, my ex is stalking me, threatening me, harassing me, and even walked into my house and after multiple police reports nothing is being done to him. Smh. Report EVERYTHING to police. Someone who spits at you know, may go and punch someone else an hour later. How do they “determine” what is a hate crime and what is a crime? A bias incident is any offense or unlawful act that is motivated in whole or substantial part by a person’s, a group’s or a place’s identification with a particular race, color, religion, ethnicity, gender, age, disability, ancestry, national origin, or sexual orientation (including gay, lesbian, bi-sexual, and transgender) as determined by the commanding officer of the Hate Crime Task Force. Because hate crimes never happened before Trump. Grow up. I got assaulted due to my race as chinese on the subway. The police point blank said unless the person said something to me as discriminatory, it will not be investigated as hate crime. I believe the polices standard is inconsistent when it comes to hate crime classification. This should be investigated as an assault on a woman by this POS. Unless there was something said referring to her religion and the NYPD knows something that we don’t this isn’t a “Hate Crime”. Or if his spit comes equipped with racial slurs. Think about it.